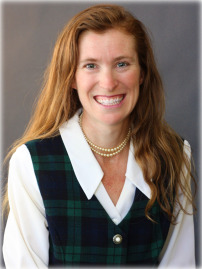 Lori Stitch Attorney - Lori Stitch Biography | National Legal Research Group, Inc. A.B., Ripon College, 1991. J.D., Emory University Law School, 1994, where she was the Managing Editor of the Emory International Law Review and a Dean’s Fellow Writing/Teaching Assistant. Member, Colorado, Georgia, Hawaii, Michigan, Minnesota, Oregon, Texas, and Washington Bars. After graduating from law school, she clerked for The Honorable Lynn N. Hughes, United States District Court, Southern District of Texas. Prior to joining NLRG, Lori practiced for five years with the western Michigan firm of Miller, Johnson, Snell & Cummiskey, then with Bullard, Smith, Jernstedt, Harnish in Portland, Oregon, and Fleckman & McGlynn in Austin, Texas. Her areas of specialty include appellate and employment litigation, commercial and residential real estate litigation, medical and legal malpractice, and complex products liability. Notable cases have included tobacco and phen-fen litigation. Lori has a degree in classical piano performance and has spent 30 years as a volunteer church musician and youth leader, playing and singing professionally in operatic productions and symphony choruses and performing at Carnegie Hall. In her free time, she enjoys international travel (she has lived in 16 states and in Europe for two years, backpacked across Europe, climbed Mt. Kilimanjaro, run with the bulls in Pamplona, sailed the Nile, and visited the Taj Mahal and the Egyptian pyramids) and marathon running (she was the top American in the 2000 PRRO Circuit, repeatedly selected to represent the U.S. in international competition, and in 2004 was the top amateur and alternate for the Athens Olympics). She does not have time for cooking, but during those rare times when she is at home, she relaxes with her two cats and has taken up do-it-yourself home-improvement projects. See a sample of Lori's work.